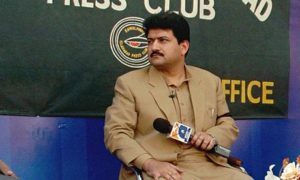 Hamid Mir was born on 23 July 1966. He is the TV host as well as author. He was born in Lahore in journalistic Family. Hamid Mir got fame in the world when he did an interview of Most Wanted person Osama Bin Laden after 9/11. He also did an interview of many wells know personalities included Tony Blair, Hillary Clinton, Collin Powell, Nelson Mandela, Shimon Pares and Johan Kerry. There is the list of awards which he won. He is doing talk show “Capital Talk ” on Geo News in which top Pakistani politician from government and opposition comes and talks about the current affair. 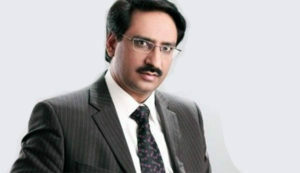 Javed Chaudhry was born on 1st January 1968 in Gujrat. He is well Known TV host and Column writer. He got the popularity from the column “Zero Point”. He is the gold medalist from Bahaudin Zakariya University Multan, he also did Mass Communication from Bahawalpur city. He has also achieved Excellency Award. Young people likes his column because he starts the column with unique style with some interesting story, his column is published in Editorial section of Express newspaper. Javed Chaudhry was also declared as the best columnist in the country in 1997 and 1998. He is currently hosting a Talk show “Kal Tak” on the Express-News. 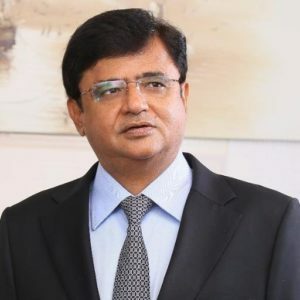 Kamran Khan is the senior journalist, he is active in this profession since 1990. Before TV news channel, he worked for Newspaper. After it, he joined Geo News and host show “Aj Kamran Kay Sath”. His show was famous with Good rating point. In 2015 he left Geo News for Bol News. Bol was banned by the government because BOL TV belonged to AXACT. AXACT was under investigation of FIA. It was alleged that AXACT was selling Fake degrees. As a result, Kamran Khan joined Dunya TV, He is currently hosting the program “Dunya Kamran Khan Kay Sath”. Talat Hussain is the man with the strong voice. He was born in 1966 in Chakwal district. He is 51 years old but still looks young, He is known for his strong voice. he wrote for Newsline, Daily Dawn, Time magazine, Daily Times (Pakistan), Daily Express as well as for India Today. Talat Hussain worked in PTV. He did Morning show “Sawairay Sawairay” and “News Night” on PTV. He also worked For AAJ Tv and Dawn news. Currently, He is hosting Show “Naya Pakistan” on Geo news as well as he is also doing part time show on Saach TV. 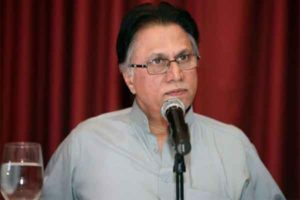 Hassan Nisar was born in Rawalpindi on 5 July 1951. He started his career as the journalist with Dhanak Magazine. alongside with news, he also composed Movie songs. He appears on Meray Mutabiq, Choraha and Report Card program. Aftab Iqbal was born on September 9, 1961. He got his graduation degree from Government College University, Lahore in 1985. 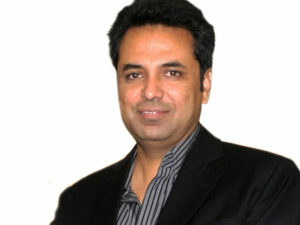 He is Famous Journalist, columnist, writer, and television anchor. He is the well Known personality in Pakistan in terms of Knowledge. He started his career as Columnist in 1985. He wrote for Nawai-e-Waqt and also participate in other newspaper. He also served as Media Adviser to Chief Minister Punjab Manzoor Wattoo From 1994 to 1995. When we talk about Electronic media, Aftab Iqbal started his career in 2008 from a program “Hasb-e-Haal” broadcast by Dunya News. He hosted this show with Sohail Ahmed as Azizi and Najia Baig. It was a news-based comedy show. After 2 years he left the Dunya News and Started a program “Khabardaar” on Geo News. He got much famous from Geo News. His Program felt much criticism because in his programs many characters were in Punjabi, difficult to understand for some people. In 2015 He left Geo News and Join Express-News. He is currently hosting “Khaberdar with Aftab Iqbal” on Express News, it is a comedy and informative show. Shahid Masood is a journalist as well as Medical doctor. 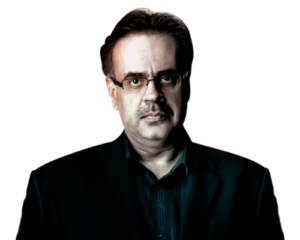 Dr shahid Masood did International Relations and Defence Studies from the Fletcher School of Law and Diplomacy. He also received fellowship of Royal College of Surgeons. Currently he is hosting “Live with Dr Shahid Masood” on News One. He is the voice of voiceless. 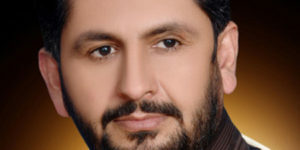 Saleem Safi is journalist, columnist And defence analyst. He is known by his polite talking style. He hosted many TV programs on PTV News and AVT Khyber. Now, in present time he is hosting “Jirga” on Geo News. 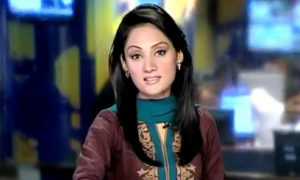 Gharida Farooqi was anchor person on Geo news. Due to some reason, She left Geo News. She also worked for PTV, Samaa TV and Dunya TV. She was born in Saudi arabia on 1 april 1980. Present, She is hosting a Show “G for Gharida” on Express News. Hamza Ali abbasi born on June 23, 1984. He is famous actor as well as journalist of Pakistan, He is very talented, he cleared his Css Exam and join Police department, He was no interest on Police. He joined it just for mother wish, But soon he left it for acting career. 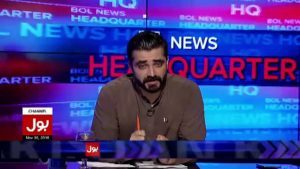 Currently he is hosting current affair program in BOL News.